SUMMER DANCE CAMP BEGINNING JUNE 17TH!! Take a Look at Our Schedule!! Call 734-379-5150 OR Message Us on Facebook! Why Choose Connie’s Studio of Dance? At Connie’s Studio of Dance, We Prefer to Speak to Parents Regarding Their Dancer’s Interests While Also Finding The Perfect Class For Them. If You Are Interested In Becoming a Part of Our Studio, Please Call (734) 379-5150 or Feel Free To Message Us on Facebook. We Look Forward To Speaking With You! Established since 1976 Connie’s Studio of Dance broke new ground in 1988, building a new studio that is a well-suited environment for the better learning of all of our students. With a studio 1600 square feet, a harlequin sprung dance floor and an inviting atmosphere, we aim to provide the best instruction to all of our students. At Connie’s Studio of Dance we help to build confidence, self-esteem and help students reach their fullest potential. Our instructors are trained in several areas of dance and have studied at Universities and traveled across the country to bring the best choreography and instruction back to the studio. 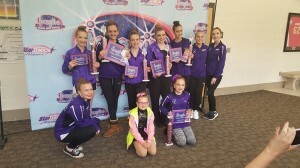 Connie’s Studio of Dance allows their students the opportunity to have fun, make memories and build life-lasting friendships, while learning the art of dance! Give your child a gift that lasts a life time!